Originally from Chicago, Spencer Baker moved to New York to pursue his dreams of being an artist. While going to graduate school, he also pursued a passion for dance and fitness. After finishing his MFA degree in 2002 from Hunter College he decided to get certified in Pilates. He started a Pilates program at a Physical Therapy clinic in Forest Hills. Soon, his clients ranged from athletic, to elderly and sometimes disabled. He realized his life as a creative artist, had morphed into another dedication, for Rehabilitation and helping people with injuries. 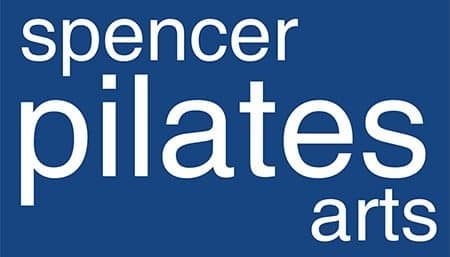 In 2006, he opened his own Pilates Studio, Spencer Pilates Arts in Forest Hills. The studio currently has over 70 classes a week, and also features Barre and specialized classes and workshops. It was been voted “Best of the Boro” multiple times by the Queens Courier. His teaching is inspired by his studies of Anatomy and Physiology. He tries to imbue each exercise as if it were an act of creativity. He has been certified by the Pilates Method Alliance. Samantha feels she relates to Pilates through her background in jazz and ballet dance. Specifically, she is interested in Pilates not only to help people tone and shape their bodies, but also to help people understand and become aware of their body mechanics and how Pilates can effect their overall well being. Samantha’s other hobbies include dance, writing, painting/drawing, playing bass guitar, piano, and singing. Samantha holds certifications through Balanced Body University. Jennifer was going to be an Electrical Engineer. Then her elective ballet teacher said,” You should be a dancer now, while you’re young, you can be an engineer when you are forty.” So, after completing her B.S. in Dance performance/choreography, she went on to achieve an M.F.A., founded her own dance company and danced in several NYC based modern dance troupes. Jennifer became a certified Pilates instructor in 2001 and a Thai Yoga Bodywork practitioner in 2006. Jennifer’s passion as an instructor is to teach her clients about body mechanics helping them to understand the correct muscle activations to achieve the most from their bodies, both in their pilates workout and in their other activities. She likes to think of herself as a “body engineer”, using her creative problem solving skills to transform her client’s bodies. Jennifer enjoys sewing, sailing, skiing and cooking and makes custom clothing and costumes for dance productions and special occasions. Yael began her study of Pilates at Body Control Studio (in Israel, 1988) as a means of improving her dance technique. Yael’s approach integrates the fundamental principles of pilates with her background as a dance teacher, and her studies of anatomy and kinesiology. The goal of her teaching is to help her students build overall strength and to better understand their individual structures. By doing so, the students are given the tools with which to understand, maintain, and care for their body and spirits. Yael holds certifications from the Kane School of Core Integration. Masako is originally from Osaka, Japan, where after finishing her BA in English, she worked for a major insurance company. Bored, she decided to move to Southern California to further her studies in anthropology and other social sciences. Suffering a mysterious paralysis that left her weakened for years to come, she turned to the intense classical ballet training of her youth. This discipline rekindled her passion for dance and led to a professional modern and contemporary dance career in New York City. 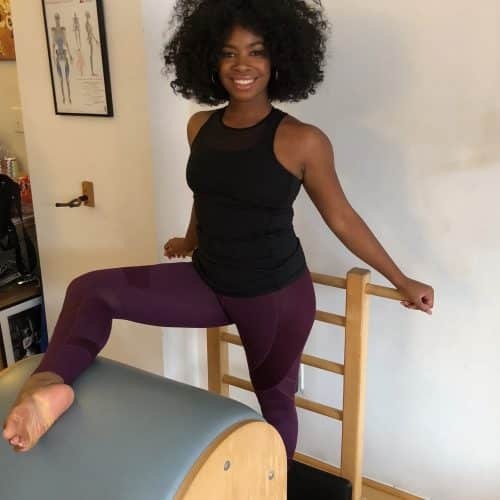 It was in New York that she discovered Pilates, eventually getting her comprehensive Pilates certifications (mat and apparatus) from the Kane School of Core Integration and the Physicalmind Institute. She continues to further her education having taken workshops from almost all of the master Pilates teachers around the world. She now teaches certification programs, workshops and master classes internationally. Maria has experienced first hand the benefits of the method. She has severe scoliosis and lived in pain until she found pilates. Through the method and her work with corrective exercises, she now lives pain free. Gessica is a professional dancer originally from Tuscany, Italy, is fully certified in all Pilates apparatus by Balanced Body University. She is also Integral Yoga certified from Yogea Art Flow Center. In dance, she has studied Graham and Limon techniques. Her own dance company called Codice Rosso, is set to perform next season at Brooklyn Academy of Music Fisher Fishman space. Karen is a long time Pilates enthusiast. Her passion for tennis is what inspired her to pursue a certification in Pilates. She received her mat certification from Kane School. As both enthusiast and educator, she is committed to teaching people how to move more efficiently to improve their quality of life. 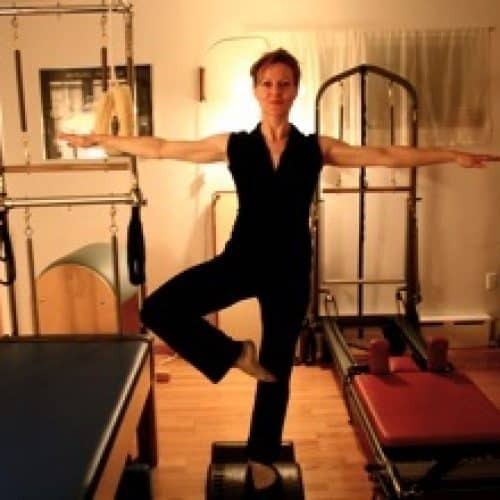 Recently, Karen has taught pilates at Annie Black Physical Therapy. She is excited to join Spencer Pilates Arts and to share her experiences with others. Elisabeth has been a student of Pilates for almost ten years and is pursuing her instructor certification with Balanced Body. To compliment her Pilates workouts, she began taking barre classes and loved the unconventional mix of classical ballet and an exuberant 1980s-group fitness aesthetic. She then went on to complete Tracey Mallet’s Booty Barre instructor-training program. Now she looks forward to encouraging elegant form while jamming out to loud chart-topping hits in all her classes. Elisabeth holds an MA in Performance Studies from New York University and an MA in Sociology from The New School for Social Research. She is currently working on her PhD in Theatre and Performance Studies from the University of Maryland. Roberta Wein, P.T., founder and director of P.T. and Pilates, has had over 20 years of experience, bringing together a background of dance, Pilates and physical therapy. 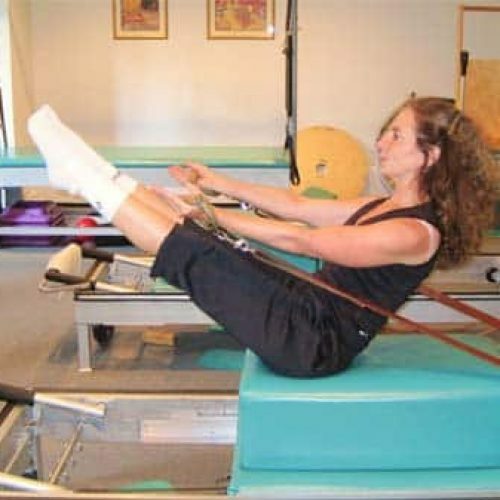 Her unique practice offers Pilates as a means of rehabilitation. Gosia is a native from Poland who has made Queens her home for the last 20 years. She has been practicing the STOTT Pilates method for the past 10 years, incorporating cardiovascular and strength training principles into her programs. 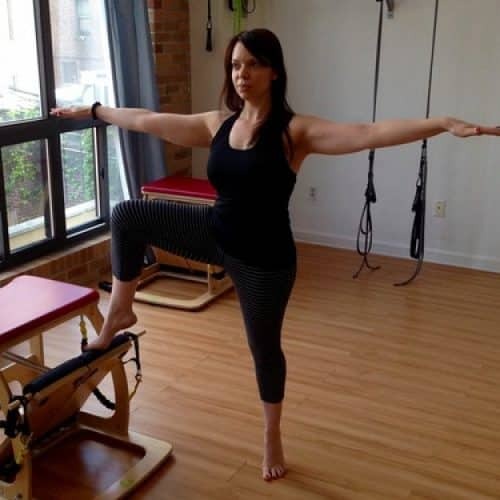 She is a fully certified Pilates Instructor (all levels on equipment and Mat), and NASM certified Personal Trainer. At the core of her teaching, Gosia works with her clients on understanding the importance of and incorporating mind body awareness and connection in their exercise programs and daily lives. Her own fitness experience includes Ice Dancing, Yoga, Ballroom Dancing and Weight Lifting. Kristin is originally from Orlando, Florida and made the move up to New York back in 2014. She has an extensive dance background which includes thirty years of experience. Her greatest accomplishment being cast as a world famous Rockette in 2010. After her dance career, Kristin became a licensed massage therapist specializing in Swedish and Deep Tissue techniques. 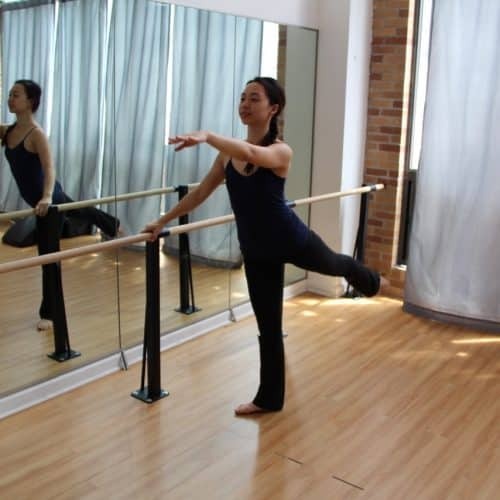 Having such a great deal of experience in body movement, it’s only natural that Kristin gravitated to Barre classes. You may recognize her as our front desk manager, but now Kristin will be teaching Pilates Barre and Reformer classes here at Spencer Pilates Arts. Angie Lu is a dancer and currently studying in the MFA Program at NYU/Tisch School of the Arts. As a dancer, Angie has experienced her fair share of injuries. In the process of healing her injuries she discovered her love of Pilates. She is currently pursuing her certification under Lesley Powell and Joy Karley from Balanced Body. Through her teaching, she wants to convey that Pilates is not only a hard work out but an opportunity to learn about your body. Kara was never too interested in fitness, but that changed once she began her undergraduate studies at Binghamton University. In an effort to resist gaining the dreaded “freshman 15,” she and her roomates began going to the gym together. During one of those trips, they were approached by a woman asking if they wanted to complete a group fitness internship and become instructors. Kara initially brushed it off, and then realized it could be a good fit. She did the internship, during which she spent four months studying barre and aerobics. She holds a group fitness certification from the Aerobics and Fitness Association of America, as well as a Yoga Foundations certification through the National Exercise Training Association. Originally from Buffalo, NY, Kara moved to New York in July 2018 to pursue a master’s degree in journalism. Lauren has been in the health and wellness field for over 15 years. She is a certified Pilates & Yoga instructor and a Nutrition coach. 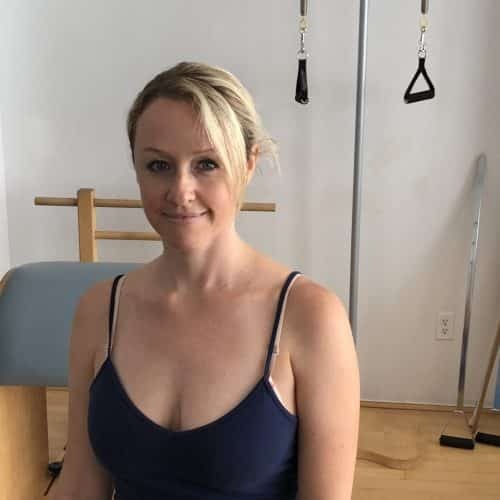 She believes Pilates, Yoga, body awareness and a strong mind body connection are the key elements reducing stress, feeling energized and creating and keeping a healthy life, and the body you love and deserve. In class, she places a strong emphasis on breathing as a key to mastering the principles of Pilates and for its ability to energize the body. She incorporates vivid imagery and positive energy to help inspire her students toward their fitness goals.